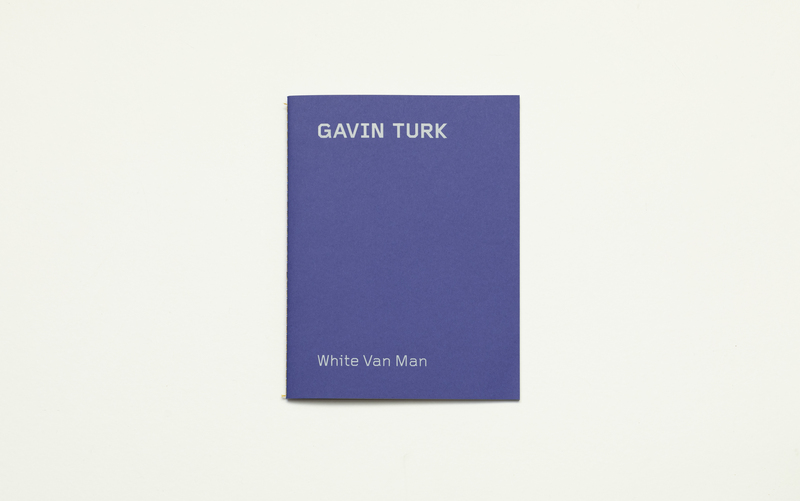 Ivorypress presents White Van Man, a publication on the first exhibition of British artist Gavin Turk in Madrid. The show delves into the current socio-political situation in the UK at the sight of the still unknown impact of Brexit, migration policies, the displacement of the British working class and, of course, Andy Warhol’s Death and Disaster series, focusing specifically on the subject of car crashes. 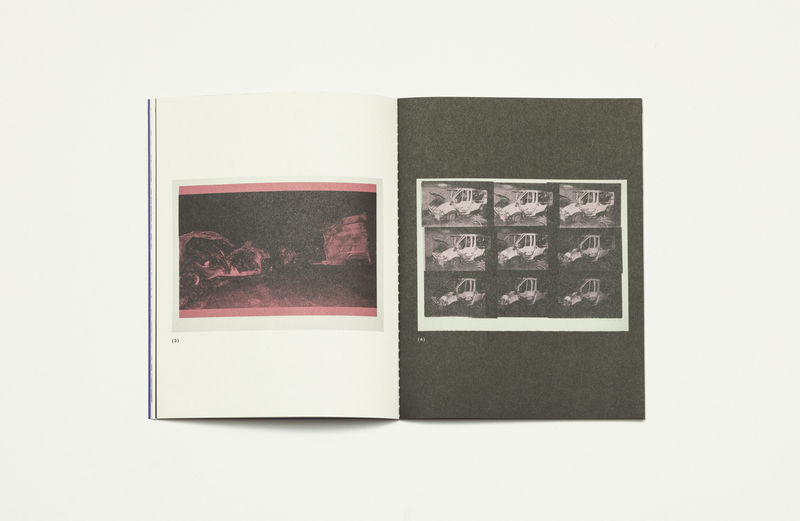 Composition, colour, background, and the emphasis on the shadows remind us of Warhol, even though Turk takes this to his own terrain situating a white Ford Transit van at the centre of every accident and confrontation. 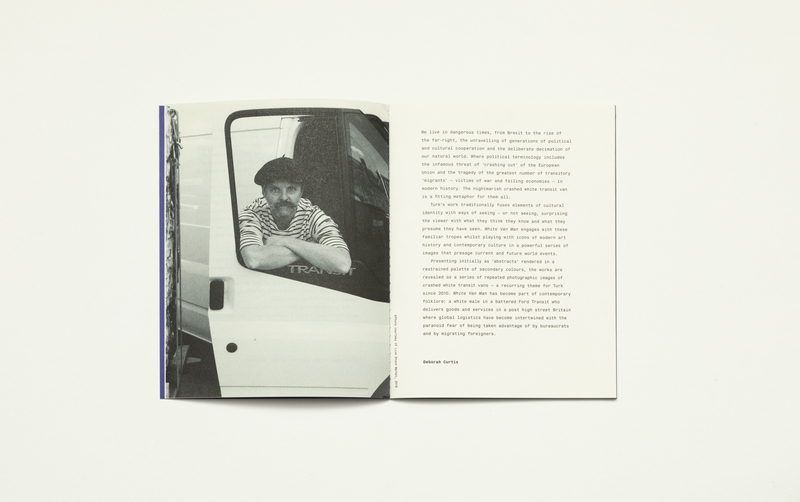 This van in particular represents the most common means of transport used for the delivery of goods in the post-Thatcher era (variations on this type of van can still be seen all over Western Europe), although it is slowly disappearing under Britain’s new socio-political landscape.Turk plays with an appropriation of an appropriation. Through the saturation of colour, he is capable of transforming the death and destruction in the images into an abstraction. The violence contained in them mutes and hides through colour, darkness and sometimes diamond dust into textures, patterns and shapes. The essence of the British working class is reduced to an unrecognisable mash. Gavin Turk (Guildford, 1967) lives and works in London. He has pioneered many forms of contemporary British sculpture, including the waxwork, the recycled art-historical icon and the use of rubbish in art. Turk’s installations and sculptures deal with issues of authorship, authenticity and identity. Concerned with the ‘myth’ of the artist and the ‘authorship’ of a work, Turk’s engagement with this modernist, avant-garde debate stretches back to the ready-mades of Marcel Duchamp. He has held solo exhibitions at Paul Stolper Gallery, London; Galerie Krinzinger, Vienna; and White Cube, London, among others. He has also been commissioned to make several public sculptures, including L’age d’Or (2016) at the Press Centre building in the Olympic Park, London; and Nail (2011) at One New Change, London. His work is included in the collections of Tate, London; the Museum of Modern Art, New York; and the V&A, London.